All patients may have a chaperone present for any consultations, examination or procedure where they feel one is required. If you would like a formal chaperone to be present, where possible, please request this when booking the appointment. We have three practice nurses and a healthcare assistant. Our nursing team are available by appointment for a wide range of services - more information can be found on our 'nursing appointments' page here. We now have a pharmacist at the practice who performs the majority of our patients' medication reviews. Appointments can be booked in advance if you know you are due for a medication review in the near future. All patients need to have up to date medication reviews in order to check that their management plans are as efficient as possible, and also to ensure that there is no delay in the issuing of prescriptions when requests are put in. This service is run by Nottingham City Care here at the St Anns Valley centre. Patients can self-refer for clinic appointments by making an appointment at the Nottingham City care reception desk here at the St Anns Valley Centre or contacting the service directly on 0115 8834880. This service is run by Nottingham City Care providing a daily clinic from a single central location at Boots in the Victoria Centre, City Centre, Nottingham. The treatment room nurses will help you with dressings, wound examination, burns, lacerations and removal of stitches. Patients can contact the service directly via contacting the Nottingham City Health and Care Point on 0300 131 0300. We are working towards becoming a dementia friendly practice. If you, or someone you know, has dementia and needs more support, you can find out more information using the details below. 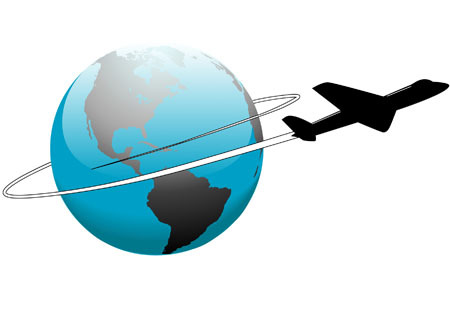 If you require any vaccinations relating to foreign travel you need to collect a travel questionnaire from the practice, and complete and return this. This will include which countries and areas within countries that you are visiting to determine what vaccinations are required. The nurse will then check your records to see if you need any additional vaccinations, and you will be contacted to make an appointment for these if they are needed. It is important to complete and return this questionnaire as early as possible after you know you will be travelling - we ask for this to have been received at least 6 weeks before your date of travel. This is because an appointment will be required with the practice nurse to receive the vaccinations, and these are booked into specific clinics which are only available once a week. Additionally, some vaccines have to be ordered as we do not keep them in stock. Your appointment should be at least 2 weeks before you travel to allow the vaccines to work. · Eatwell 4 Life . Cook and Eat classes. · Be Fit offers free gym use, fitness classes and swimming for city residents who receive certain benefits. Unfortunately, patients who have low/no medical need and minor foot conditions, such as requiring nail care or treatment for corns and callus, will no longer have access to the NHS-funded service. As from 1st September 2017, anyone who requires help with language during appointments will need to have a pre-booked official interpreter present, or for on the day emergency appointments, use Language Line input. Family and friends will no longer be allowed to interpret in consultation. It is possible for friends and family to be present in the consultation, but they cannot act as independent interpreters. At the Wellspring Surgery we are always trying to develop our services so that our patients have the best possible care. 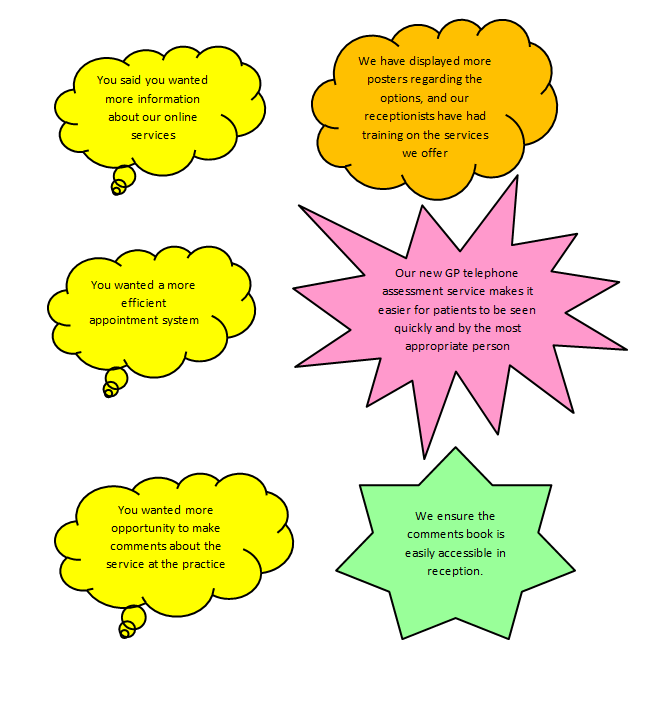 We value all patient feedback, and try to use this to improve our services. At the Wellspring Surgery, we encourage our patients to use our online services to book appointments, request prescriptions, and view their records. It’s really easy to sign up – just pop into the surgery with 2 forms of identification (one photographic and one confirmation of address) and fill in a form. If you have any questions or queries, our reception team will be able to help you. It’s important to remember that you should keep your details to your online log in private – see our list of security tips below. Having access to your records online is a great way to get involved in looking after your health. Your records contain personal information, so it’s important to keep them safe. You should take the same care with your health and social care records as you do if you use online banking. If your record provider created a password for you as part of your log-in details, you should change it as soon as possible. Use a strong and memorable password that is at least 8 characters long. Do not write your password down or share it. Do not use words in your password which may be easy for others to guess, such as the names of your relatives or pets. Always log out of your records when you have finished using them. It is best to view your records when you are somewhere private, and on your own computer or mobile device. If you print information from your records make sure it is stored securely. Further information and advice about keeping your online health and social care record safe and secure is available here.